size 250cm Extension Max. size 350cm Extension Min. 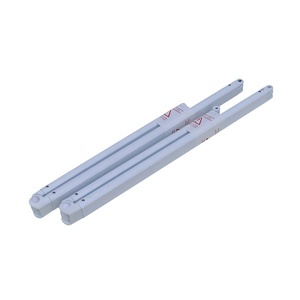 size 150cm Support bar Dia. 2. More option: on awning type, fabric pattern, operation mode. 4. OEM Accepted: we can produce according to your special requirements. 5. Good Service: We treat clients as friend. Big Arm of awning for cars: 57X25X2.2mm Alu. Small Arm of awning for cars: 42X21X2.2mm Alu. We have four national patents for awnings and five national patents for tools. Front Bar: 145x67mm Alu. Top Cassette: 167x160mm Alu. Bottom Cassette: 153x150mm Alu. 2. The folding arms can be adjusted parallel and precisely by the arm stops in any angle between 5-80degree. 3.The awning can be controlled manually and electrically through different driving devices. 4. 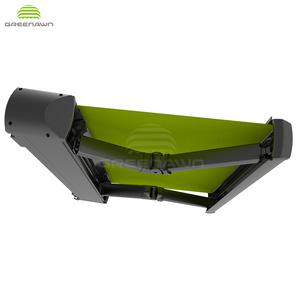 The structural frames are made of high strength aluminum alloy / zinc alloy / high grade steel / ABS resin / polypropylene. Alibaba.com offers 1,495 folding arm awning products. About 92% of these are awnings. A wide variety of folding arm awning options are available to you, such as pu coated, ptfe coated, and pvdf coated. You can also choose from aluminum alloy, aluminum. As well as from remote control switch, manual, and ordinary switch. And whether folding arm awning is acrylic, poly, or canvas. 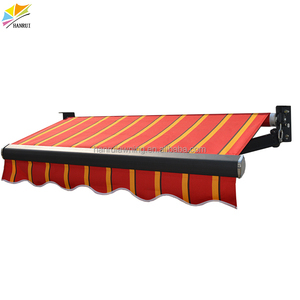 There are 1,503 folding arm awning suppliers, mainly located in Asia. The top supplying countries are China (Mainland), Ukraine, and India, which supply 99%, 1%, and 1% of folding arm awning respectively. 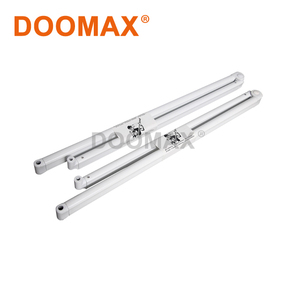 Folding arm awning products are most popular in North America, Western Europe, and Southeast Asia. You can ensure product safety by selecting from certified suppliers, including 399 with ISO9001, 250 with ISO14001, and 48 with Other certification.